The view is facing south east towards Elm Road Crossing in Wisbech. 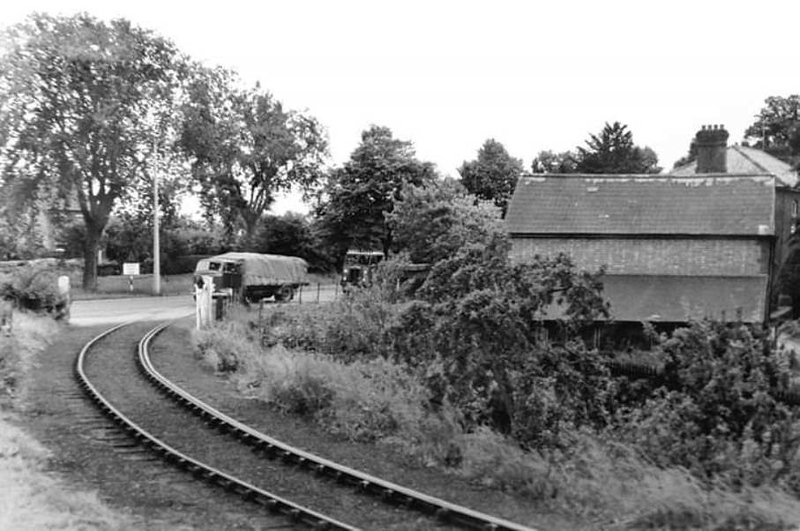 The tramway ran parallel with the main line to Magdalen Road, from Wisbech East station before curving south east. A gate across the line protected the road and trains were flagged across at low speed.